Bats Are Beneficial for Us!!! 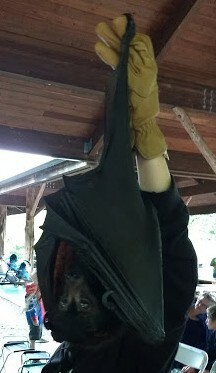 I was introduced to Tom, a 30 year old bat, with bad allergies, at the New York Botantical Gardens last week. He came from SavetheBats.org, an organization devoted to restoring the bat population. Bats help control the mosquito population, pollinate our flowers and help sustain our environment. 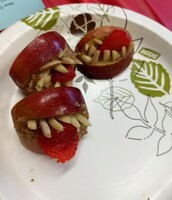 If you would like your students to skype with them and visit their bat cave, speak to Ms. Bayer in the library. 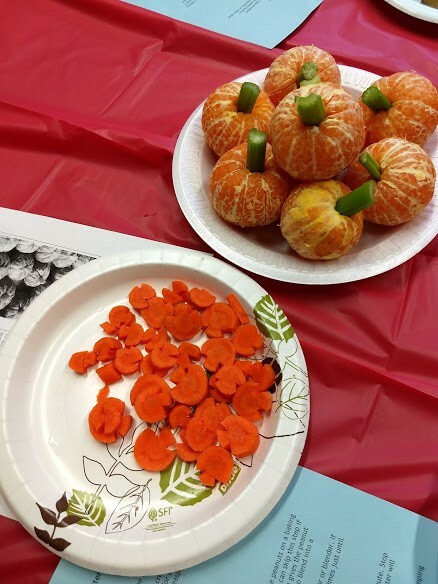 Our FHS Cooking Club had fun creating healthy Halloween treats with clementines and carrots. 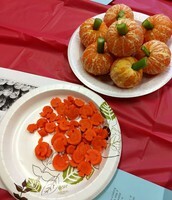 Students were enlightened and enjoyed everything. 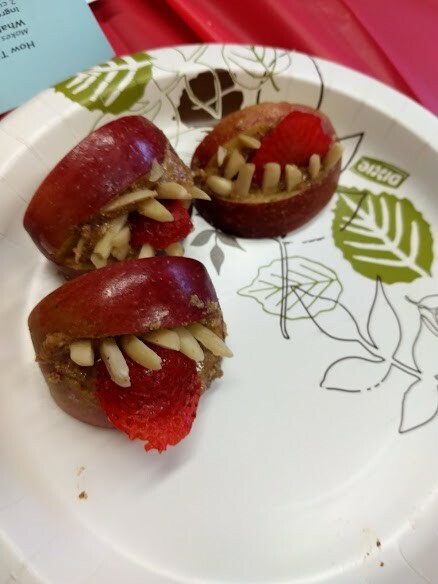 Students learned how to make peanut butter and created these delicious apple bites with slivered almonds, strawberries and peanut butter. 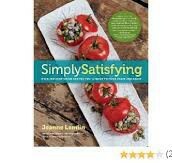 Check out Simply Satisfying, a colorful cookbook filled with over 200 vegan recipes, including creative salads, soups and other great dishes perfect for the upcoming holidays. 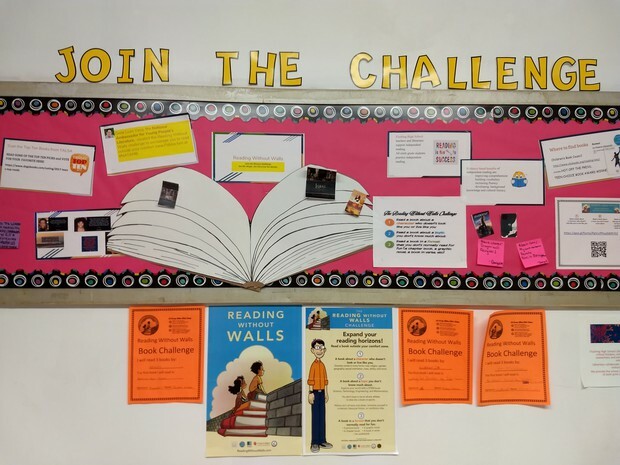 Encourage your students to enter the Reading Without Walls Challenge. 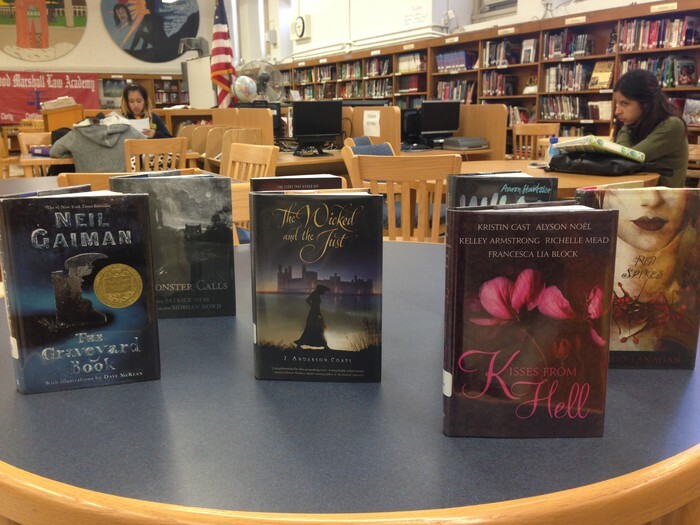 Each student who enters the competition promises to read 3 books by the end of the semester. One book should be about a character not like them, the next book should be about something they do not know anything about and the last book should be in a format they haven't read before. All students who meet the challenge will be treated to a breakfast. I will let the English teachers know which students complete the challenge. Each student who enters the challenge has a certificate hanging in the library to know they entered the challenge. Once they complete a book I will hang up a certificate celebrating their accomplishment. 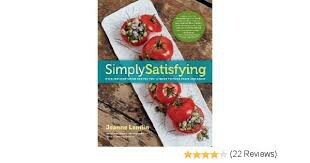 I am currently ordering books for our library. If you have a great book to recommend, please fill out the form below.